Press Freedom Under Siege in Pakistan: Where to Next? Jibran Nasir on forced disappearances, press freedom, and Pakistan’s foreign policy. Since Pakistan’s general elections, a series of questions have surrounded freedom of press in the country. Human rights movements that demand justice for missing persons have cropped up and died down almost instantly. Pakistan-U.S. ties have undergone significant strain in the meantime. 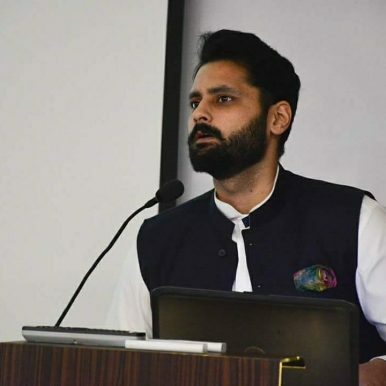 In an interview with The Diplomat’s Hannan Hussain, political activist and lawyer Jibran Nasir explores the reasons behind these developments, the extent of media censorship in the country, and whether the absence of diplomatic dialogue is the way forward for India and Pakistan. Earlier this month, the president of Pakistan stated that the prime minister, army chief, and the judiciary were in talks over the issue of missing persons. Despite multiple movements and coverage, the issue remains largely unaddressed. What must change? The military is looking for a National Reconciliation Ordinance to offset its past sins and crimes. The missing persons phenomena has led to an endless insurgency in Balochistan, currently in its 13th year. It is clear that the army hasn’t been able to handle it. A lot of dissenter groups have also cropped up in the provinces of Sindh and Punjab. To a large extent, it has become a routine matter for state agencies to abduct people. But in light of the embarrassment this is creating locally and internationally and how the Pashtun Tahaffuz Movement is a manifestation of the military’s grave blunders and civil grievances, I believe the military would want to move forward and end this practice. For that to happen, the army requires a relaxed set of laws that would enable it to get what it wants from activists, dissenters, journalists, while affording some degree of legal cover. Legislation was drafted back in 2011-12 by Chaudhry Iftikhar, with different intelligence agencies coming on board for the initial approval of the draft. But the legislation never saw the light of day. Whatever legislation will come forward, they will be aimed at giving comfort to the security establishment and its security interests. They will not be aimed at protecting the fundamental rights of the citizens, as such. The language and phrasing of these legislations will see to that. One should expect more focus on the support and facilitation of security agencies, even if it comes at the cost of the common citizen. How do you view press freedom in Pakistan today? It is horrible. Time and again, people confuse social media with journalism; it is not. When I post a video on social media about a VIP manhandling me, that is victim reporting. Journalism, for what it stands, is a very sacred and noble profession – the roots of which have now been shaken. Of course, they were weakened by corporate and political interests at first. But citizens that struggled against General Zia-ul-Haq’s dictatorship are telling us this directly: present times are far more dangerous than the state-backed censorship of the 1980s. Owners of prominent media channels have refused to support their journalists. In previous years, if the military establishment would not want an article to be published, the newspaper will leave that space blank. This was a way of the paper’s editors and owners to record their protest, and inform the masses of the reality on-the-ground. Today, when articles from senior commentators Talat Hussain, Marvi Sirmed, and Babar Sattar were taken out, we did not see any protest from editors or media owners. This clearly illustrates how condemnable and ruthless things have become – simply because journalists don’t have support from their own fraternities. For the first time in its history, the Karachi Press Club became the subject of an intelligence raid. The next day, a very senior journalist under dubious circumstances, was arrested and subject to terrorism charges. Top anchors of the industry are sitting at home, using social media. We are told that a financial crunch has hit them. If you ask me, it is very surprising that those who once held a strong opinion of the military are the only ones facing a financial crunch – and not the rest. Much of this has been happening since the last elections, which were definitely not free and fair. You cannot guarantee a free and fair election without the independent circulation of information. We still know areas where DAWN (Pakistan’s oldest English-language daily) is barred from distribution, and where Geo News is not being broadcasted. Censorship has only gotten worse over the past years. One must view the current suppression of press in light of the military establishment’s recent fixation with Fifth Generation Hybrid Warfare. The belief is that everything is a war on narrative, and that Pakistan is being weakened from the inside by different ideologies. It gives rise to a justification that the Pakistan army must not only brace for war militarily, but also in terms of protecting the country’s ideological and information frontiers. Whoever is questioning the narrative of the military is being censored. Journalists are first declared anti-state and anti-nationals, then discredited without evidence. Because the establishment’s narrative is just not selling through security policies, its fixation with hybrid warfare has gained momentum. The inauguration of the Kartarpur Corridor has been received well by the Indian Sikh community. However, the Bharatiya Janata Party leadership in India remains averse to bilateral talks with Pakistan. Is the absence of diplomatic dialogue the way forward for both nations? I think the PTI (Pakistan Tehreek-e-Insaaf) government has very rightly assessed the strongman posturing of the Modi government. The Pakistani leadership took no offense to it, and I give them full credit for that. [Prime Minister] Khan was quick to identify Prime Minister Modi’s preparations of the 2019 elections, and his need to exercise some rhetoric, even if that rhetoric calls for an anti-Pakistan stance. Had Imran Khan reacted in the same manner as the BJP leadership did, I think tensions would have escalated. But his decision to approach India at a later time is a very mature stance. In a letter to PM Imran Khan, President Donald Trump has requested Pakistan’s “full support” in the Taliban peace process. Could Afghanistan become a point of convergence between strained Pak-U.S. relations? Afghanistan right now is the only bargaining chip on the negotiating table. There is no immediate cause or concern right now. Of course, there have been concerns regarding the threat of religious extremism in Pakistan, and its nuclear assets. But in terms of Washington’s economic engagement with Pakistan, Afghanistan is of mutual importance. Any soft diplomacy applied by both powers, or any U.S. funding pumped into Pakistan’s development sector, is because of the war on terror going on in the background. A major development in my view, is the assassination of Sami-ul-Haq. He was a key player in terms of Pakistan having influence over the Afghan Taliban. The main question right now is what leverage – if any – does Pakistan have in convincing the Taliban to come on board? Supporting the Taliban militarily is not an option, nor is opening up borders to allow them safe havens. Given these constraints, it will be interesting to see what inputs Pakistan offers to the process. When President Trump presented his South Asia policy, I don’t think he clearly translated the interests of the U.S. military establishment. At present, he appears to be taking a more realistic view of Pakistan-U.S. ties. Without doubt, the letter is a welcome sign for Pakistan. But how effective will it be in encouraging influence over the Taliban, and restoring congenial Pakistan-U.S. relations? That remains to be seen. Hannan Hussain is an Islamabad-based writer for Daily Times, DAWN and the Express Tribune. He is also the author of And the Candles Blew. An investigation is ongoing into whether the girls were forcibly converted.